ECR Engines captured the victory Sunday afternoon in the IMSA WeatherTech SportsCar Championship Rolex 24 at Daytona International Speedway, powering Action Express Racing’s No. 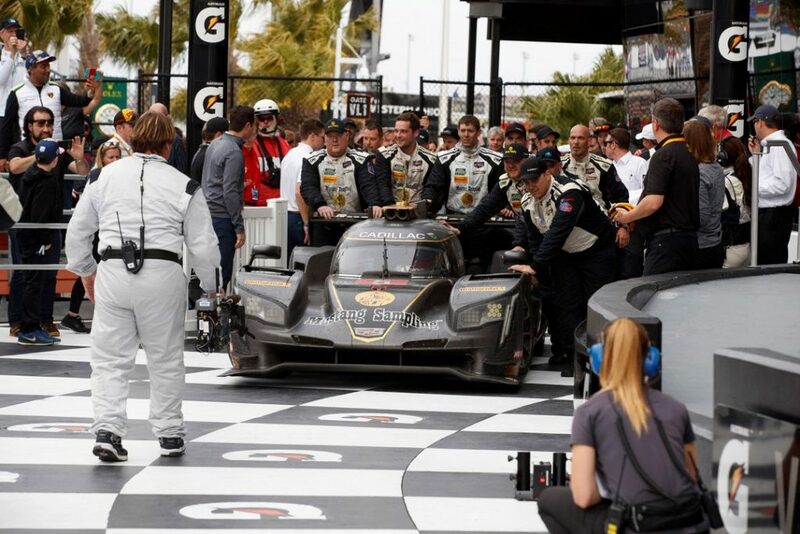 5 Mustang Sampling Cadillac DPi-V.R across the finish line and giving Cadillac its second consecutive Rolex 24 win. Action Express Racing dominated by completing 808 laps and 2,876.48 miles around the 3.56-mile Daytona International Speedway, breaking a 36-year mileage record. The No. 5 Cadillac DPi-V.R held off its teammate, the No. 31 Whelen Engineering Cadillac DPi-V.R, also powered by ECR Engines. The No. 5 Cadillac was co-driven by Joao Barbosa, Filipe Albuquerque and Christian Fittipaldi. The team took the lead during the 16th hour of racing and went on to win by a margin of 70.544 seconds. Action Express Racing battled one of the most talented fields in recent history, as well as various weather conditions throughout the season-opening race. 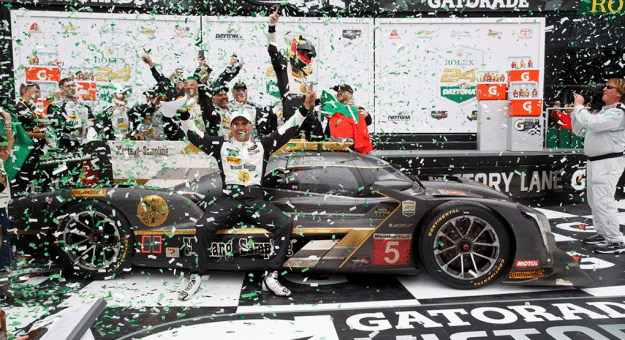 ECR Engines has won IMSA WeatherTech SportsCar Series championships for four consecutive seasons and won the Prototype Engine Manufacturer’s championship five years in a row. In 2014, ECR swept the podium at the Rolex 24, with the Corvette Daytona Prototypes finishing 1-2-3 and last season finished 1-2. Based on the campus of Richard Childress Racing (RCR), ECR Engines produces engines across seven types of stock car and sports car racing series, including production for NASCAR teams such as RCR, Germain Racing, Leavine Family Racing and Richard Petty Motorsports.